We get 'toxic masculinity,' but what about women? Are they malcontents? The north magnetic pole is in constant flux, influenced by the movements of iron-rich fluids deep below the Earth’s crust. “Or at least that’s the theory — the whole thing is still somewhat of a scientific mystery,” according to ZMEScience.com. The static geographic north pole is what we navigate on but true North is relative, magnetically speaking. Which calls to mind that saying that the only thing certain is death and taxes. So why does all this matter? Because, as the Washington Post reported, the U.S. Government shutdown is preventing an emergency recalculation of the true magnetic pole made necessary by abnormal and rapid changes. The World Magnetic Model (WMM) produces a 5-year forecast of the Earth’s magnetic field, which helps adjust compass-directed navigation. But the rapid and irregular movements of the north magnetic pole over the past three years have made the 2015 WMM inaccurate. An unprecedented early update was set for Jan. 15, but that’s been bumped to Jan. 30 because of the shutdown, reports Nature. The WMM is the standard magnetic model used for navigation by organizations such as NATO, the U.S. Department of Defense, and also by smartphone operating systems. A smartphone’s map app, displays an arrow pointing North. Phones have magnetometers sensing the Earth’s magnetic field. The WMM corrects the measurements of magnetic north to true North. The WMM forecasts are produced by the US National Oceanic and Atmospheric Administration (NOAA) and the British Geological Survey (BGS) on behalf of the US National Geospatial-Intelligence Agency and the UK Defence Geographic Centre. The WMM is based on magnetic pole movement in the Earth’s core. 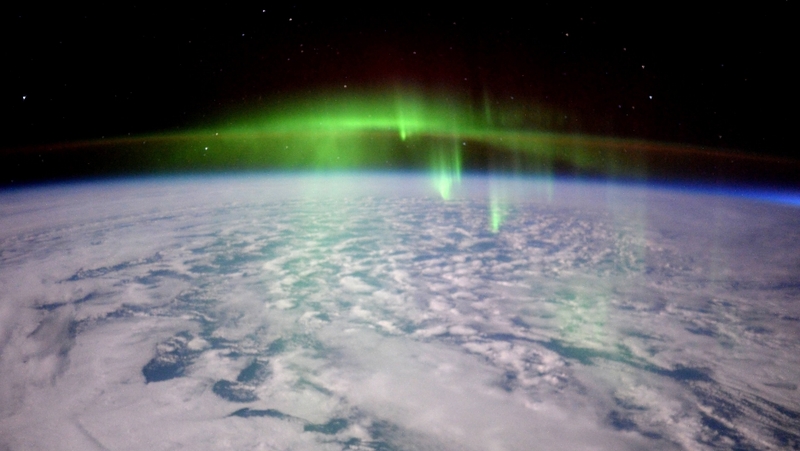 Beginning in late 2014, however, the core geomagnetic field started to shift in a way that hadn’t been predicted, wrote BGS scientist Will Brown at his blog. The farther one is from the north magnetic pole, the less of a problem this causes. Arnaud Chulliat, a geomagnetist at the University of Colorado and NOAA, told Nature that the rapid movements of the north magnetic pole makes navigational systems in the Arctic “more prone to large errors”.